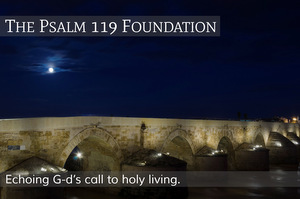 We believe the purpose of our Congregation is to glorify The Creator, and teach our members about our Awesome Creator. They can glorify Him by living righteous lives. We desire people to experience the joy of knowing The Creator from the “Hebraic” perspective. We know that “acting” more Jewish will not make us any more Holy, but having the same “attitude” as the Greatest of all Jews will.